I know it's early to ask, but what did you get for Christmas. I'll go first, Monday morning at 20 inches 7 lbs 7 oz our first grandchild, Amelia Renee, only 11 hours late. Will get to see her on the 26th. If this is a contest to see who got the best gift; Michael, you win. CONGRATULATIONS!!!!!!! If there is anything better than a new Grandchild it's a Grandfather with a T Speedster that she will no doubt grow up with and learn to love. Well only a few years from now she will be asking you if she can drive the speedster. Congratulations & try not to spoil her all at once! Santa brought a Bridgeport Mill. Guess it was too much for the deer cause it came by a fellow club members truck. I think I may be running a close second. One of my sons is stationed at Ramstein Air Base in Germany, and the other is in the Coast Guard on Lake Superior. We seldom get to see either of them or their families, and they get to see each other even less. They were all here last week! The AF family is still here until after Christmas, and the CG one had to return to duty on Monday. Both families have 4-year-old daughters who are 6 months apart in age. You couldn't separate them with a BIG pry bar. And the ones who are still here from Germany introduced my wife and me to our 7-month-old Grandson for the first time! Merry Christmas indeed! Santa brought me and even partially installed a 4,000kg/10,000lb 2 post hoist. Now l just need to finish it off and power it up. David, you're sure gonna love that hoist. The Easter Bunny brought me mine two springs ago and I use it a lot. I even bring up the '15 after a run and clean/polish the underside, as this car is pretty much museum grade, and I want to keep it that way. Sure can't do that laying on your back! 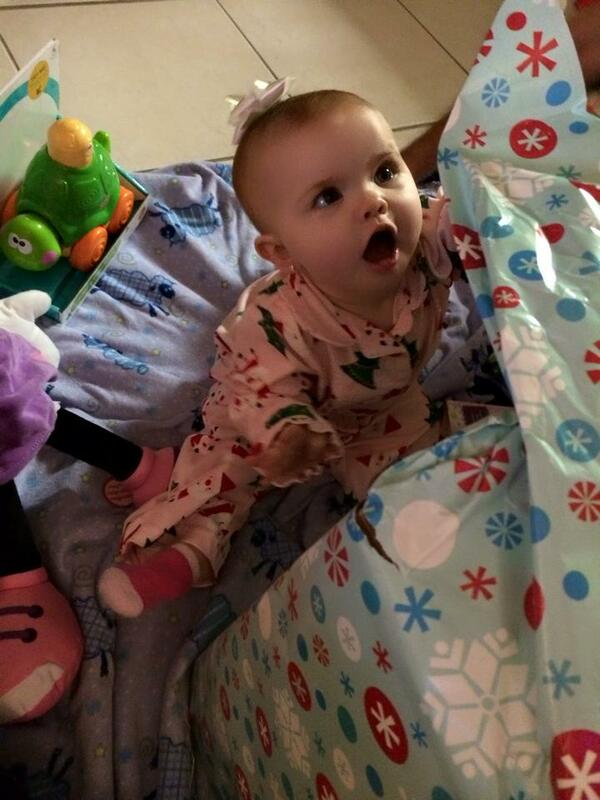 For this Christmas I got to see the grand-daughter 1st Christmas at 6 months old...and she apparently has it all figured out already!